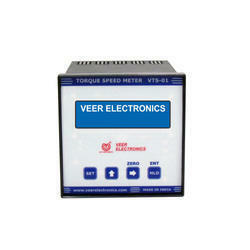 We are involved in providing a wide range of Torque Speed Meter to the clients. These are designed special for various torque testing and measuring. These devices are extensively acclaimed for rugged construction, dimensional accuracy and robustness. Weight of Instrument 1.5 kg approx. Warranty 1 Year against manufacturing defects & Extended optional. No Warranty for accessories. We are a company which is engaged in offering a wide range of Torque Indicator. This multi-purpose range is capable of finding extended applications in a number of industries. Every stage of manufacturing is supervised by experts, with an aim to develop qualitative products. These products are provided with rugged construction & high quality by reliable vendors to provide maximum output according to client's requirements. Weight of Instrument: 1.5 kg approx. Note:- Specifications are subject to change without prior notice.